NFOTEC is the leading provider of Engineering Simulation Services for product design and development. We work as a dedicated CAE partner for Engineering and Scientific organizations. Our Management Team includes professionals in their respective fields who are jointly responsible for the progress of execution and growth of the organization. Sanjeev is a graduate in Chemical Engineering from IIT Bombay with a Master of Science in Chemical Engineering from Rutgers University, New Jersey, USA. He is a Member of Institution of Engineers and a Chartered Engineer. Sanjeev has been leading the growth of the company in the design and optimization of engineered products through a deep understanding of aerospace mechanisms and defense systems. He is a thought leader in development of critical solutions and services using multidisciplinary tools and scientific innovation. Sanjeev is a member of several Societies in Space, Aviation, and Automotive. Ø Industrialist with experience in setting up and running Tech Companies. Ø Hands on Execution of Design and Build Projects in Airborne Systems. Gaurav Sikka is a Graduate from the University of Michigan (Ann Arbor) where he studied Business and Economics. He has experience working in the US with top global firms like Bank of America Merrill Lynch, Syntel Inc, and the Virgin Group. He is actively involved in Business Development and Strategic Alliances for the company. 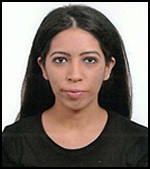 Anita is a Psychology Director from Bombay University hailing from well known business community in Mumbai. 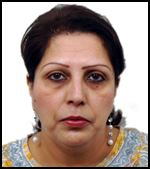 She is associated with family business for a long period, at present she is a Board Director and takes active part in the activities in the company in Sales, Marketing and Administration. Mr. Guled F D holds a Masters degree in Mechanical Engineering from University Visveswarya College of Engineering, Bangalore. He comes with CAE background and project execution and management experience in Aerospace, Automotive and general engineering sector. He has experience in the field of Manufacturing, design, Finite Element Analysis, Computational Fluid Dynamics and business development. He is leading the Engineering Services and Support for the company. 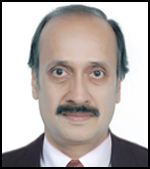 Mr. K Ankaiyan holds a Masters degree in Aeronautical Engineering from Indian Institute of Science(IISc), Bangalore. 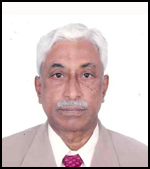 He has over 41 years of experience in the field of Gas Turbine Technology (36 years in Gas Turbine Research Establishment and 5 years in alarge engineering Company) involving Design and Development of Aircraft Engine, Design and Development of Aero Derivative Marine Gas Turbine Engine. 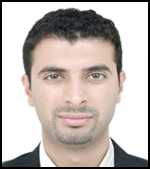 He provides technical suggestion and strategic views on projects. 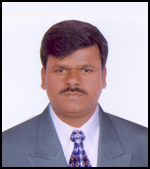 Mr. Venugopal is a Graduate of Engineering (Elec). Mysore University, India and Masters of Engineering specialized in Power Electronics and control systems from Concordia University, Montreal, Canada. He was Area Manager with Prat and Whitney Canada and carried out various projects related to Logistics and Technical support to PWC in India and also for outsourcing. He was AGM - Design, Test facilities Engine Design at HAL division in Bangalore. He has Set up a number of engine test cells for various type of western and Russian military engines used by the Indian Airforce and manufactured by HAL with end to end ddesign and management also Instrumental in design and setup of fully automated aircraft gear box rigs for the Indian Light Combat Aircraft and MIG 29 (overhaul) program. He provides strategic views on major technical projects and suggestion. 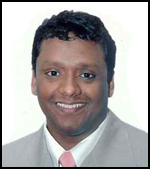 Mohammed Shariff holds a Mechanical Engineering degree from Visveswaraya technological University and carries 9+ years of experience in Sales, Marketing and Business Development. 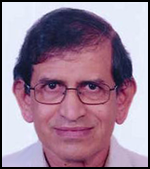 He has been working very closely with the Aerospace, Automotive, Defense Research and other Engineering Organizations in India. 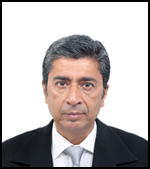 He is instrumental in CAE business development for the company. Rashi Sikka is a Graduate from the University of Les Roches International School of Hotel Management. (Bluche, Switzerland). She completed her Hotel Diploma and Bachelor’s Degree in Marketing. She has experience in working with top hotel chains. She worked at the Little Nell Hotel in Aspen (Colorado) as well as in India with Taj and ITC Group of hotels. She is currently involved in Business Management, and looking at business solutions for the company’s growth. She is also involved in the execution of CAE projects. Ashok Bakshi has around 34 years (21 yrs. in ISRO + 9 yrs. in Pvt. +4 yr in academics) of experience in aerospace and allied technology & Project Leadership in Aerospace, Defence systems design covering aircraft, rockets and satellite systems and modules. Responsible for unit P/L, sales target strategy, covering full billing cycle, revenue growth in various geographies. Manufacturing coordination for Space hardware at different work centres, worked extensively on Dynamics/vibration tests. Design & manufacturing of Aluminium alloy precision space components. Design of systems for missile& UAV’s, h/w fabrication coordination. Members in PDR, CDR review committees. Responsible for making company EADS certified E2S supplier to Airbus. Make in India admirer, Familiar with global business practice for Indian Industry: DOFA, MoD, DRDO, OFB and ISRO.